We are thrilled to announce the winners of the 2017/18 Study Abroad Photo Competition! 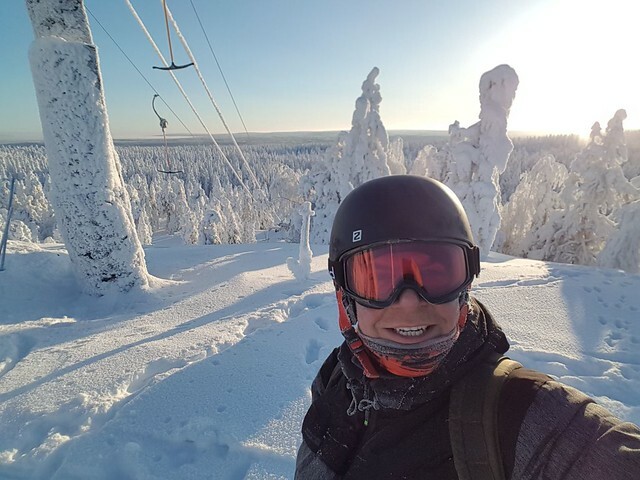 First place, and winner of £150 Amazon voucher goes to Andrew Newman who completed a Clinical Placement in Lapland as part of his Nursing degree. The judging panel said the winning photograph was “an impactful and well-composed image that showed such a different landscape to what many expect from studying abroad”. Runner Up prizes have been awarded to Sophie Keywood, who spent a year studying at Universitat Autonoma di Barcelona as part of her English degree, and John Fajardo, who spent a year on a laboratory placement at Ryerson University in Toronto, Canada. Both win £50 in Amazon vouchers. The panel remarked that John’s photograph was an “imaginative and interesting composition that captured the cityscape of Toronto”. Sophie’s photograph was praised for having “captured the essence of studying abroad – exploration, freedom, adventure and friendship”. This year's photo competition is open to all students undertaking global opportunities abroad – this includes study, work, volunteering and teaching abroad. We want images that tell a story and narrate your international experiences! The competition is open until Thursday 30 May 2019. The winner will receive a £150 Amazon voucher, and two runners up will each win a £50 Amazon voucher.